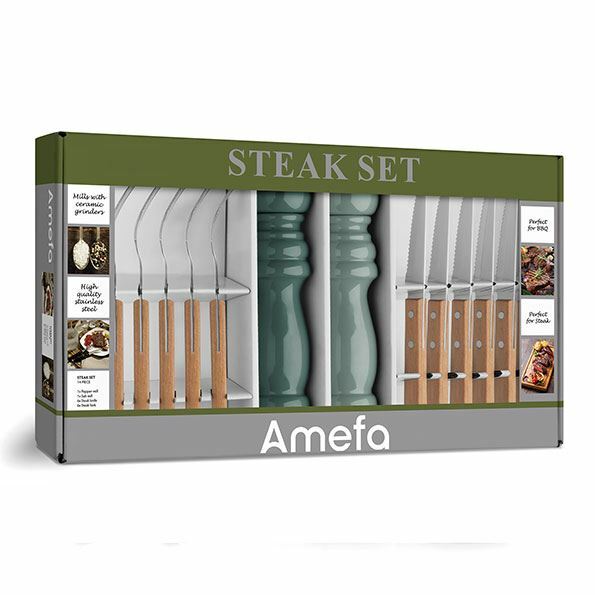 This extensive set contains steak knives, steak forks and a salt & pepper mill. The beautiful livery is inspired by natural and earthly colors, they look amazing on a nicely set table. The set is perfect for everyday use, a dinner party or a summer barbeque. The pepper en salt set too is made in natural shades. The mills are made with high quality grinders. 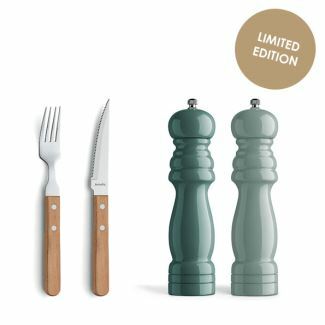 The set is made of polished rubber wood, which results in a long lifetime.